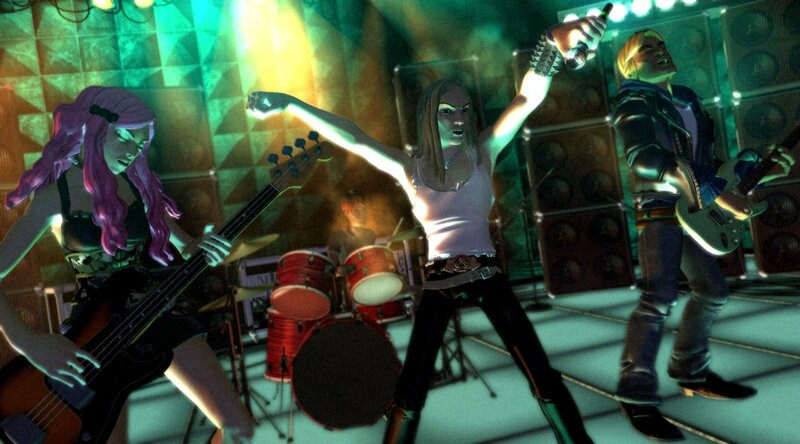 Rock Band Sells 2.5 Million Songs in Just Over Eight We..
OVER TWO AND A HALF MILLION SERVED! New York, NY – January 18, 2007- Eight weeks after the release of the red-hot music video game, and while Rock Band continues to fly off store shelves, the response to the downloadable music is clear, as fans and gamers have propelled its downloadable content to “double platinum” status, purchasing more than 2.5 million game levels based on songs since its launch on November 20, 2007. "Our goal with Rock Band was to create an entirely new way for people to interact with the music they love," stated Van Toffler, president, MTVN Music Group/Logo/Films. "The incredible response to the downloadable content we've released to date motivates us even more to establish this platform as a way for people to discover new, up and coming artists through the game - in addition to delivering great game play experiences set to the music of mega-artists." In addition to bringing mega-star and classic rock acts to Rock Band, this new distribution method for music has seen fans and gamers also embracing developing artists. The first selection of up and coming bands included 30 Seconds To Mars, All-American Rejects and The Sounds. These three bands were part of a special holiday promotion, offering tracks such as 30 Seconds To Mars’ “Attack” and “The Kill,” All-American Rejects’ “Dirty Little Secret” and “Move Along” and The Sounds’ “Song With A Mission” at a discounted price of $0.99 per song (80 Microsoft Points for Xbox 360) for the month of January. Fans can expect more music available for download every week through 2008 through a variety of song packs, albums and individual tracks with suggested retail pricing varying from $.99 to $2.99 per track (The equivalent of 80 to 240 Microsoft Points for Xbox 360), with the vast majority selling for $1.99 (160 Microsoft Points for Xbox 360). Rock Band™ allows online play and possesses features that expand the boundaries of music gaming. Rock Band™ downloadable content is playable and integrated into setlists in all game modes including: Solo Tour, Band World Tour, head-to-head competition either locally or online, and from any Quickplay mode. In order to play downloadable content for head-to-head matches or multiplayer online, all players must own the same downloadable track. Downloadable content for the Xbox 360® is available for purchase via Xbox LIVE® Marketplace for the Xbox 360® video game and entertainment system from Microsoft using Microsoft Points and is downloaded directly to Xbox 360's built in hard drive. Downloadable content for the PLAYSTATION 3 system’s version of Rock Band is available for purchase on the PLAYSTATION®Store through the free PLAYSTATION®Network and is downloaded directly to PLAYSTATION 3 system's built in hard drive. Rock Band™ is rated “T” for Teen (lyrics, mild suggestive themes) by the ESRB. EA is the exclusive distribution and marketing partner for Rock Band, managing distribution for the game.